It is a sign of the times that one of the largest loans to be closed in the European commercial real estate market so far this year was done entirely by an insurance company many would be forgiven for not having heard of. Rothesay Life insures defined benefit pension payments for corporates and other insurance companies. In January, it closed a coveted financing mandate with a £689 million (€780 million) loan to South Korea’s National Pension Service to fund the sale-and-leaseback of Goldman Sachs’ European HQ at Plumtree Court in the UK capital. It was the type of loan that, once upon a time, would be almost guaranteed to have gone to a club of commercial banks. With a five-year term, a loan-to-value ratio below 60 percent and a margin understood to be below 150 basis points, it was done on terms most obviously associated with the banking sector. However, Europe’s real estate lending market has its most diverse set of participants ever and it perhaps should not have come as a surprise that an insurer, which plans to keep the loan entirely on balance sheet, single-handedly took on the debt mandate. Several insurers have built property loan books during this cycle, taking advantage of banks’ reduced appetite for real estate financing. Among them are the sector’s big names, including Allianz, AIG and AXA. Rothesay Life, which was launched by Goldman Sachs in 2007 and is now owned by Blackstone, GIC and MassMutual, has a lower profile, specialising in insuring annuities provided by other parties, rather than offering insurance products to the public. From its offices in the Leadenhall Building, the London tower better known as the Cheesegrater, Rothesay Life has been quietly building a real estate loan portfolio since 2015, when it stepped into the market to provide a £220 million financing of motorway service areas in the south of England. Harish Haridas, who joined as head of commercial real estate debt in 2016, used to be a banker, working on pan-European CMBS issuance for Morgan Stanley from 2005, before a stint at Royal Bank of Scotland from 2010 working on deleveraging the bank’s exposure to continental European commercial property. When Real Estate Capital meets him, Haridas is busy finalising almost £1 billion of lending deals, including the Plumtree Court deal and a £180 million loan against the Sanctuary Buildings office property in London’s Victoria area, also recently bought by South Korean investors, Hana Financial Group and Kiwoom Securities. Around £1 billion of annual commercial real estate lending can be expected from Rothesay Life, Haridas says, although this will fluctuate depending on the volume of liabilities the firm needs to match and the quality of loans available. He recalls an early conversation with his management when the former banker asked about his annual target. “I was told the target is not to originate a certain volume, it was to be in the flow. The aim was to screen as many of the transactions taking place, but invest only when the right one came along,” he says. However, it is important to have the mindset that turning down deals which do not fit the risk level the business is comfortable with is “perfectly normal”, he adds. The firm’s high volume of recent property lending was driven by a sudden increase in its assets under management. In March 2018, Rothesay Life acquired a £12 billion annuity book from Prudential in a landmark deal for the company. Total AUM was boosted to £37 billion, having hovered around the £24 billion mark during 2016 and 2017. With a staff of 200, mainly based in London, but with some in the US and Australia, Rothesay Life does not aim for a large turnover of deals, but focuses on jumping into action when a large-scale opportunity arises. Rothesay Life’s reputation is building, property finance professionals tell Real Estate Capital. One former banker-turned-debt advisor says the firm has been known for involvement in non-mainstream activities such as ground rents financing, although its presence in the core commercial market has more recently increased. To lend at scale requires spotting opportunities that generate stable income from senior loans to prime properties in core locations; a competitive part of the market. With a 20-year credit tenant lease to Goldman Sachs, Plumtree Court ticked all boxes. Just under a quarter of Rothesay Life’s £37 billion asset portfolio is accounted for by secured property lending, which includes social housing, ground rent financing and equity release mortgages, as well as commercial real estate loans. Regulation of the insurance sector is another major driver of property debt activity. The firm’s ‘capital-lite’ model has allowed it to continue to grow under European Solvency II regulation, part of which involves off-setting liabilities through investments in illiquid credit which generate enhanced risk-adjusted returns. The capital cost of holding direct equity assets is punitive for insurers, making senior loans the preferred route for exposure to assets rather than direct ownership of the bricks and mortar. Talk turns to the prospect of rising interest rates. While they usually indicate improved economic activity and therefore higher real estate rents, stagflation – a combination of economic stagnation and inflation – can worry those active in the real estate market. While commercial property lending commands a premium to bonds, it also requires lenders to build customer relationships. In 2015, Rothesay Life provided a £300 million facility to Secure Income REIT, backed a portfolio of UK leisure assets operated by Merlin Entertainments, including Alton Towers. While the loan was in the process of being documented, an accident on a rollercoaster at the theme park left five people seriously injured, resulting in a £5 million fine for Merlin. While those loans entailed financing platforms, recent business has been asset-specific and concentrated on more mainstream assets, namely central London offices. 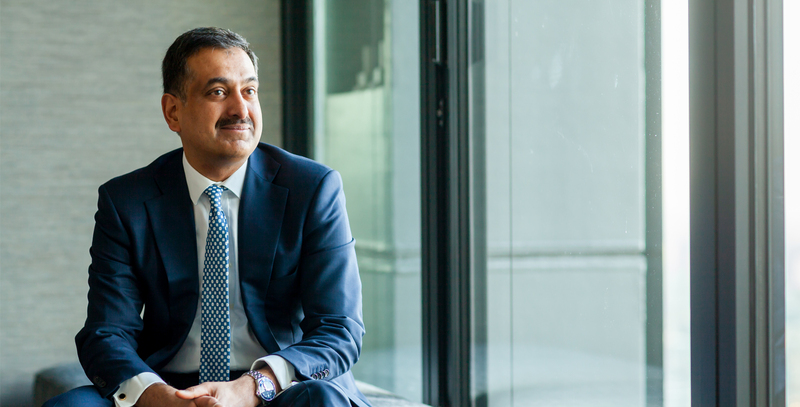 Despite the UK’s looming exit from the EU and the knowledge the real estate sector is due a correction, Haridas expects a continuation of the market conditions that have delivered large, prime financing deals.